Former art student, Bee Dixon now applies her artistic flair and knowledge to colouring hair. Bee has appeared on stage for Redken as an educator all around the UK and Ireland and at its annual show, Tribe. Bee always ensures that her trendy clientele looks up to date with an edgy, creative vibe to her work, often using bold pigment tones, pure tones and crazy colours. Her work therefore translates well to seminars, shows and to the street. This advanced hair colouring course covers a variety of ice-cream inspired shades producing soft, feminine and on-trend colours for female clients of all ages. Over the five lessons of the course, some of the best colourists working today will provide you with expert guidance on colour placement and tint selection to give you the ability to recreate the looks in your salon. The course begins with a tutorial from Creative Colour Director for La Biosthetique Andrea Bennett from Austria, then moves to Aveda’s Artistic Director and educator in London, Paris-born Bruno Elorrioroz’s beautiful melted balayage. Lesson three introduces two-time winner of the Colourist of the Year at the Shwarzkopf Hairdressing Awards in Germany, Andreas Kurkowitz. British colouring legend Tracy Hayes, Global Head of Technical Training for Fudge Professional presents lesson four, before one of London’s most in-demand colourists, Bee Dixon concludes the course in lesson five. On completion you can download, print and share a CPD Certificate of Recognition endorsed by VTCT and ITEC. 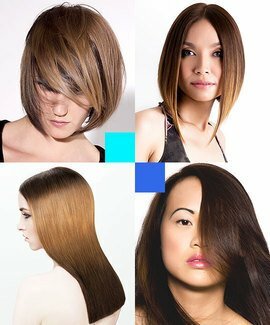 This online intermediate hairdressing course teaches you how to create 5 salon-friendly, rich bronde and brunette hair colours that will provide you with the skills and knowledge to contour your hairstyles to add a bespoke play of light. 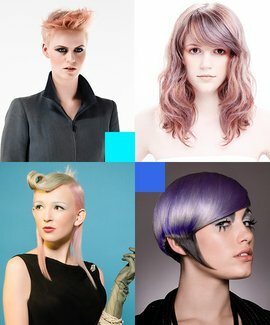 This collection features a range of internationally respected educators and hairdressers including Jo McKay, Andrea Bennett, Louise Reeves and Bee Dixon. On completion you can download, print and share a CPD Certificate of Recognition endorsed by VTCT and ITEC.